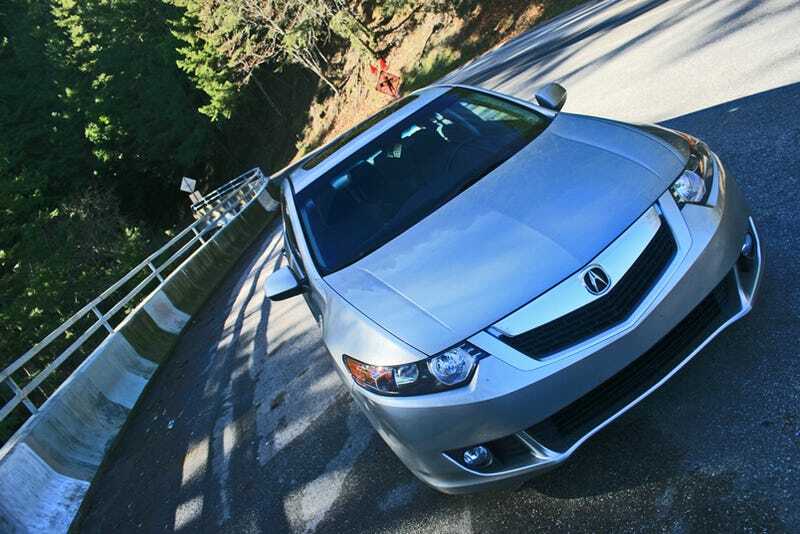 We know the 2009 Acura TSX is feature rich and comfortable, but it's really boring. Should you trade some of your riches to buy one? After working your way through an intense five-year masters accounting program, passing your tests, becoming a licensed CPA and landing a job at PWC you've earned a luxury car. Not just any luxury car, one with leather seats, a kicking stereo, NAV system, backup cameras. The works. You've been driving a Toyota Corolla for the last ten years, saving your money, and you can't believe you've found a car capable of driving better than your Corolla for only $32,000! It's taken 12 years, but you've just completed your undergraduate Philosophy degree and you've just bluffed your way into an awesome, high-paying gig in the city. It's time to ditch the trusty E30 and step up to something more grown up without sacrificing the fun. It doesn't even need to have a stereo and you know how to use a map. You're want to get something capable of driving better than your Bimmer, and you can swing $35,000. • LxWxH: 186.1" x 72.4" x 56.7"
Last week, we asked: What&apos;s the ideal Honeymoon car? No one said the 2009 Acura TSX. Smart.